Boschendal Wine Estate is, in so many ways, an absolutely amazing wine estate… It offers visitors timeless beauty, a spectacular setting, gorgeous wines and some world-class farm experiences – and that’s before we even get to the food, MTB bike trails, farm spa and stunning farm cottages… need I say more? 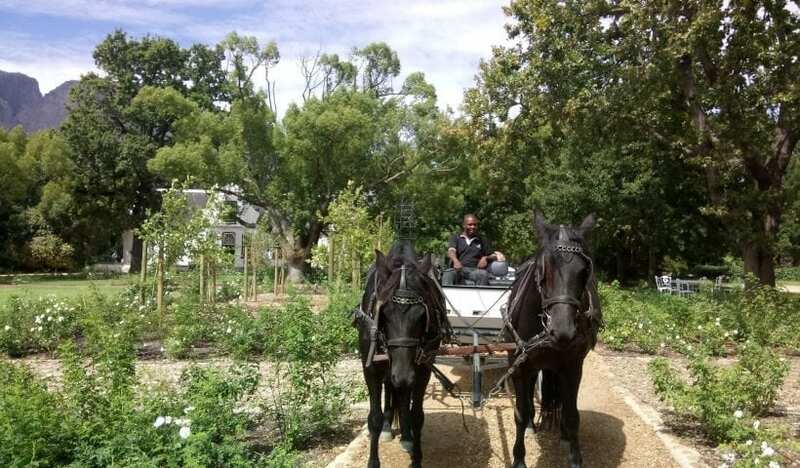 Personally, I’ve been fortunate to indulge in many of Boschendal’s finery, including its wines, gardens, beautiful picnics – and most recently, an amazing carriage ride too! 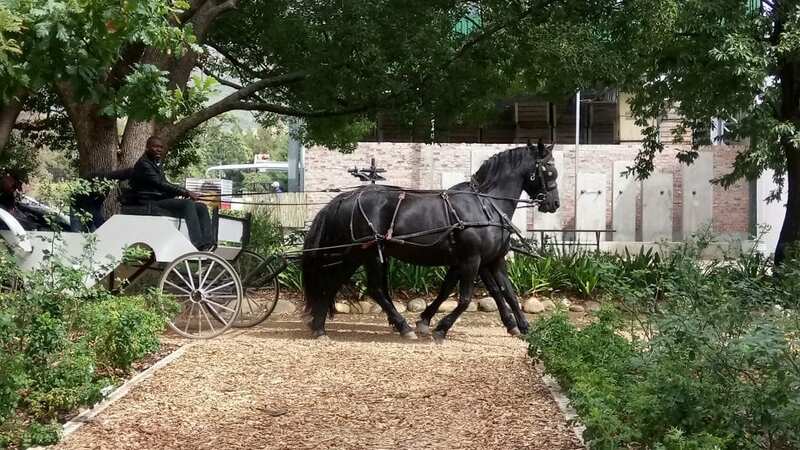 That is the way our carriage ride began – and it only got better from there! 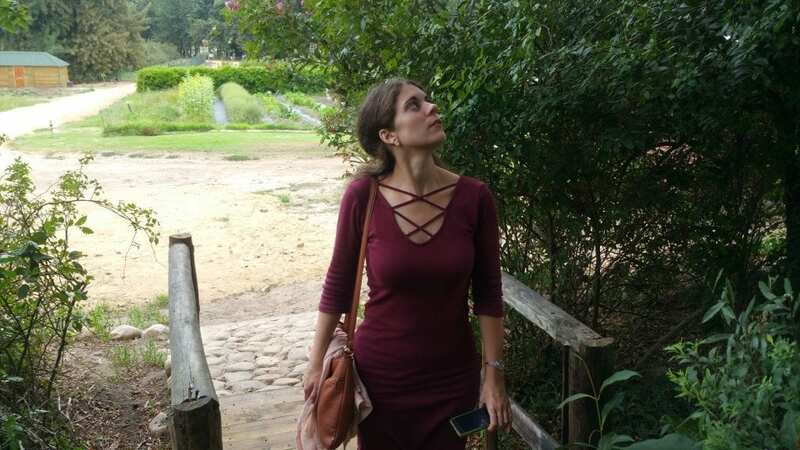 Before I elaborate any further, let me just say that it was hands-down one of the most fun, all-round wonderful travel experiences my boyfriend and I have ever enjoyed together… and we have had our fair share of special trips and travel highlights! Once we settled into our cosy, two-person cart, we were off down the impressive Rhone pathway (which, in itself, takes one’s breath away, especially under newly-turning autumn colours…), with a few bumps and much excited laughter between us. 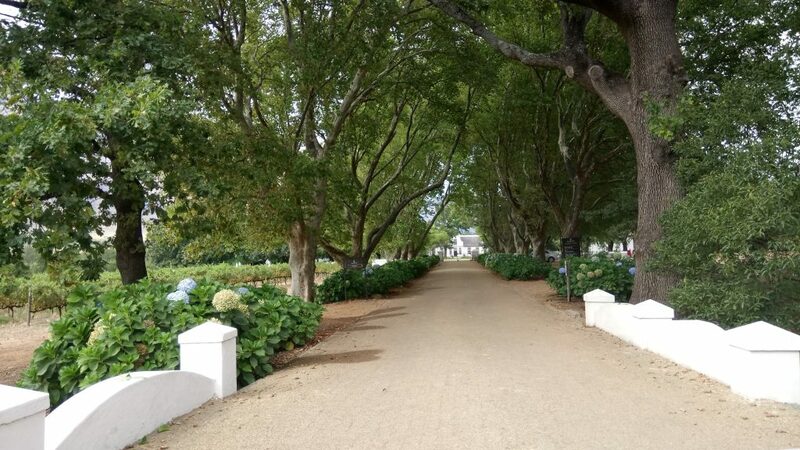 Moments later, the carriage turned down a narrow dirt road (vineyards to our right), with us already firmly under the grip of childlike excitement, before we passed the main Boschendal entrance and trotted up the drive towards The Werf Restaurant and gracious Manor House. Here, somewhere between The Werf and The Deli, we paused, surrounded by excited children – and equally excited adults – who gathered around us to pat the well-behaved, gentle horses and snap selfies near them. Then, when we turned at the Manor House (really gripping stuff!) and trotted back along the main driveway, we passed a few cars. These drove right past the unperturbed horses, passengers looking out at us in wonder, as we smiled and waved back. I don’t think we passed a single person, standing or driving, who didn’t look as happy and joyous as we felt, to see, to experience something like this on a wine estate. It seemed as special to them, as it was to us. 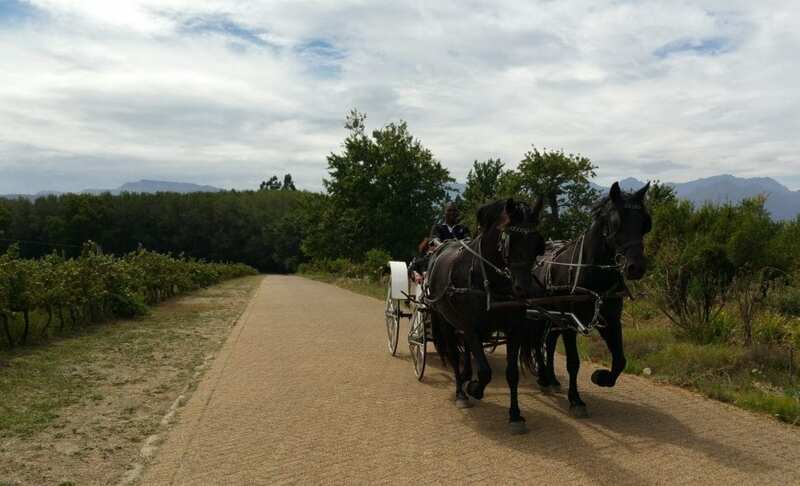 And, quite frankly, a carriage ride is one of the best ways to see the farm too: as it even takes you taken past the cottages and different vineyard plots, along dirt farm roads. As you go, the driver provides useful insights into the estate and its activities, which adds to the experience. It’s thirty minutes’ worth of unashamed laughter and ridiculous fun… and you’ll wish it would never end. 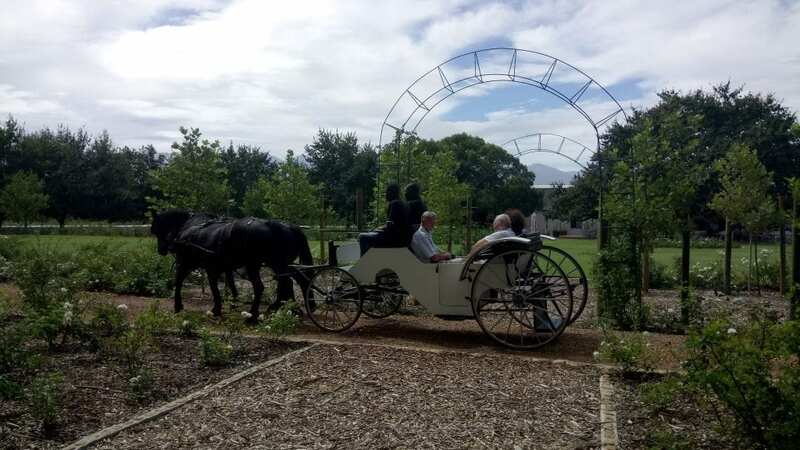 What’s more, the carriage ride also wonderfully caters to weddings too… And let me tell you, this is one seriously romantic travel experience to share with your partner! 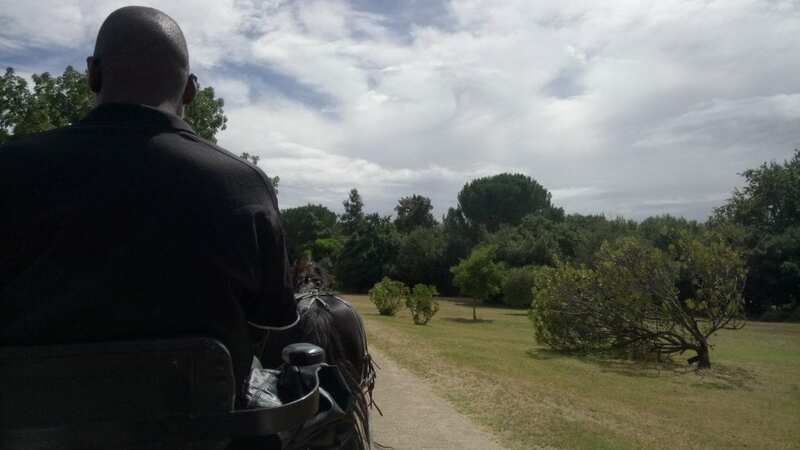 I would easily rate our carriage ride experience 10/10 in terms of charm, staff professionalism and insights gained, as well as for the overall experience, service, atmosphere and of course, the spectacular setting. 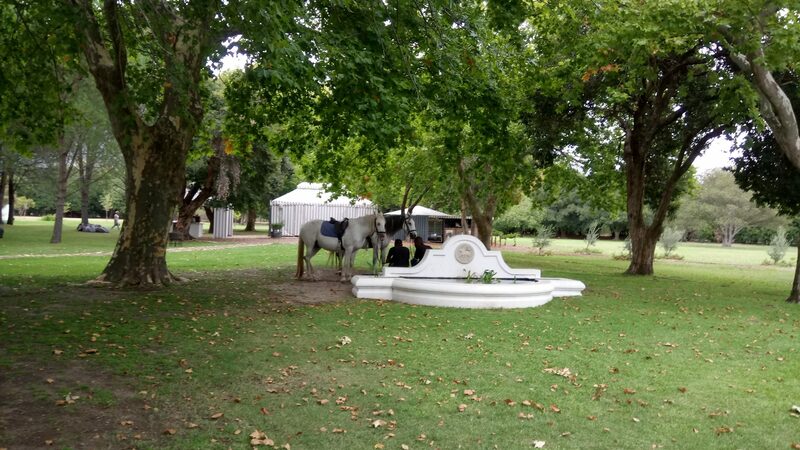 To book or enquire after your own Boschendal carriage ride, please contact (021) 870 4211. 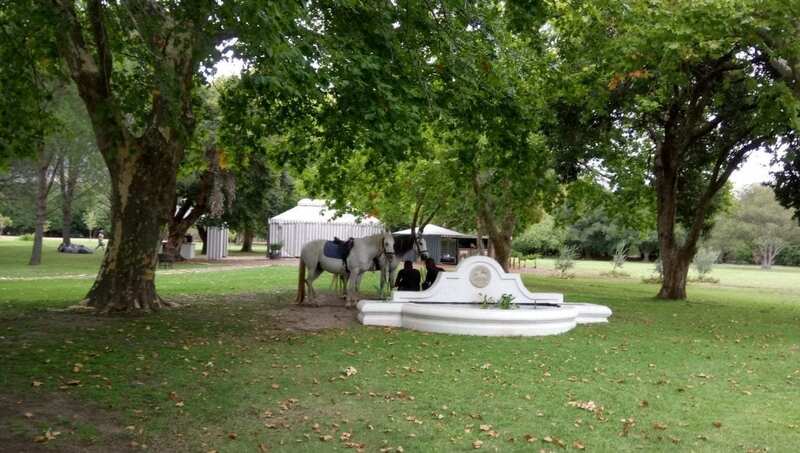 Note: Boschendal also offers outrides (R350 per person) and children’s pony rides in the Werf area (R50). In 2014, my brother, his girlfriend and I had the pleasure of enjoying one of Boschendal’s spectacular picnics. And while I have since enjoyed several wine farm picnics, the memory of that picnic – and special afternoon – remains one of my all-time favourite travel experiences. 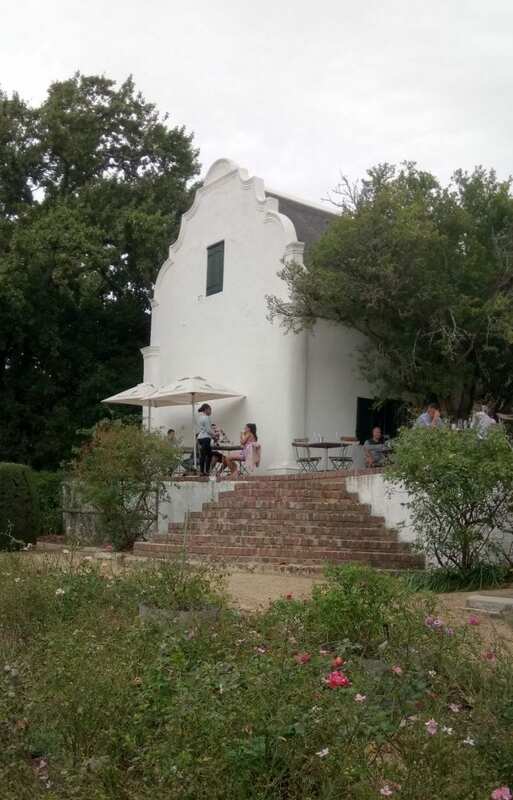 In my opinion, the food, quality and setting at Boschendal is arguably one of the best in the Cape Winelands. 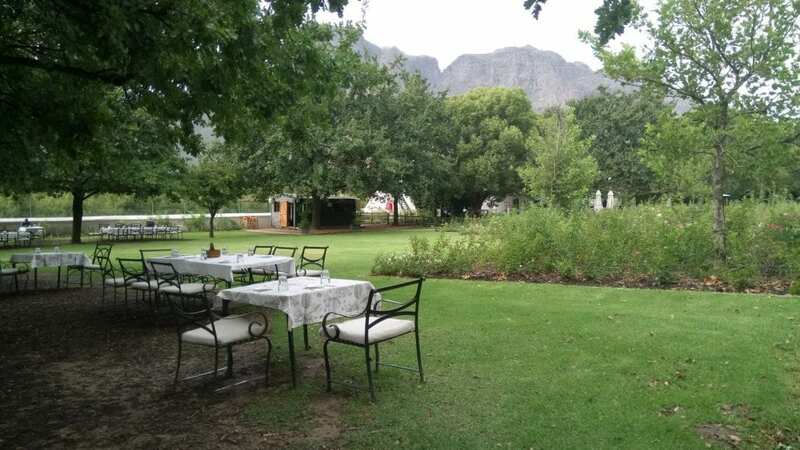 And I love that visitors not only get to choose between the Werf picnics – with the mountains and rolling lawn stretching out before them – but they can also opt for a Rhone Rose Garden picnic too! 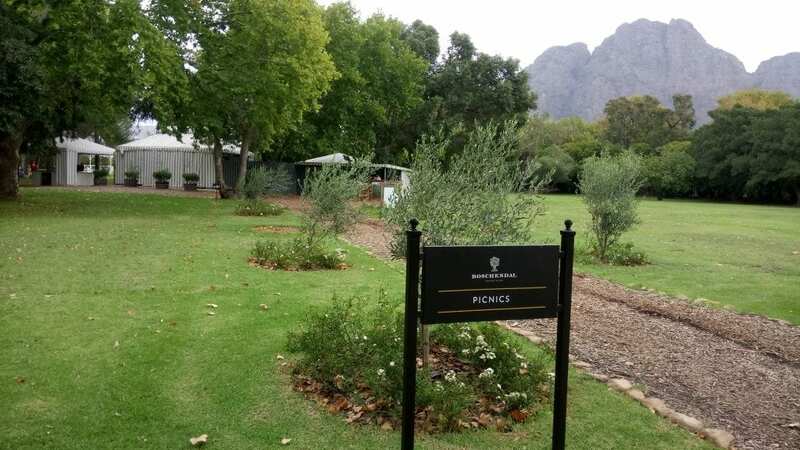 Situated a mere 1km apart in distance, the two settings vary slightly, but both are equally beautiful… When I visit Boschendal again, I would love to tuck into one of their Rhone picnics too! 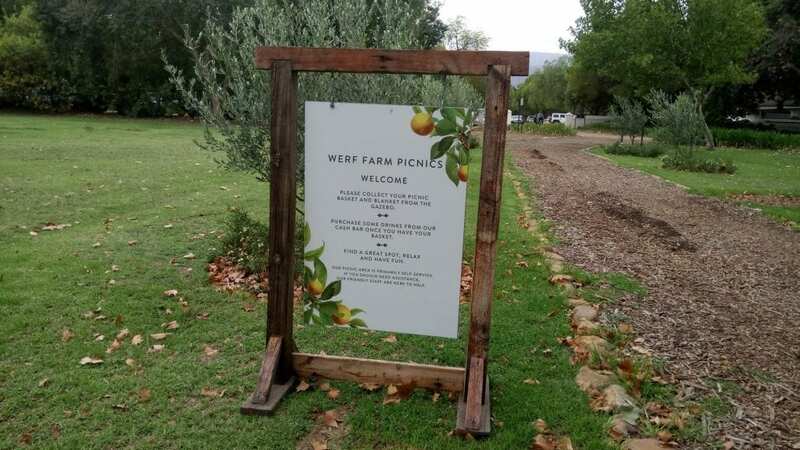 Both the Werf Farm Picnic (R430 for two sharing) and Rhone Rose Garden Picnic (R480 for two sharing) offerings require a minimum 24-hour booking prior to visiting, and booking is essential. (March 2018 – April 2018) Wednesday to Sunday. (May 2018) Saturday to Sunday. Closed from June to August 2018. Monday to Sunday, during March and April 2018. Closed Wednesday and Thursday during May 2018. Closed from June to August 2018 until picnic season starts up again. Please note: An additional 10% gratuity will be added for your waitron’s service; and kiddies’ picnic baskets are R95 for children aged 3-10 years. Picnic basket collection runs between 12:00 pm – 14:00pm. 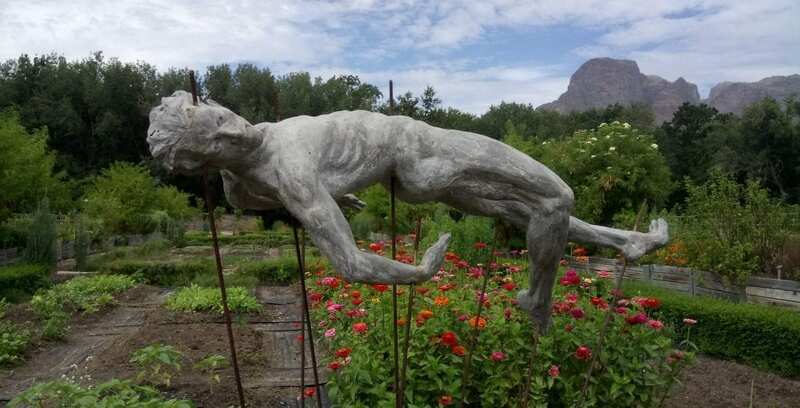 The first few times I visited Boschendal, one of its main attractions was certainly the famous Rose Garden. 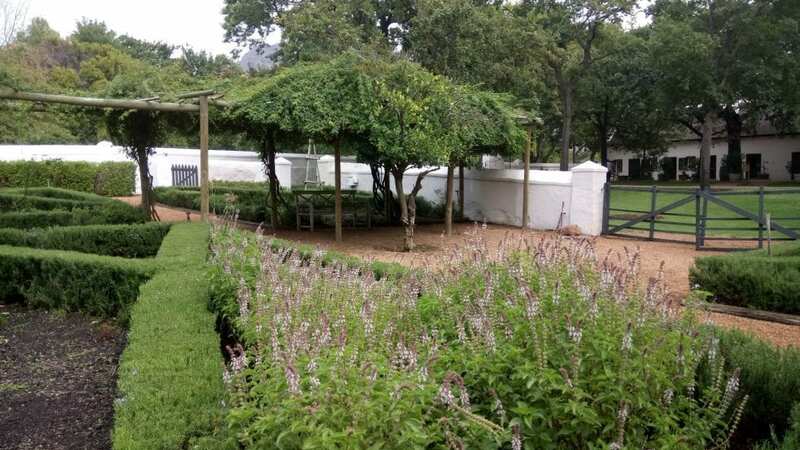 This internationally acclaimed rose garden – designed by historical researcher and landscape planner of note, Gwen Fagan – features many of the roses once cultivated in the Cape and the East Indies. 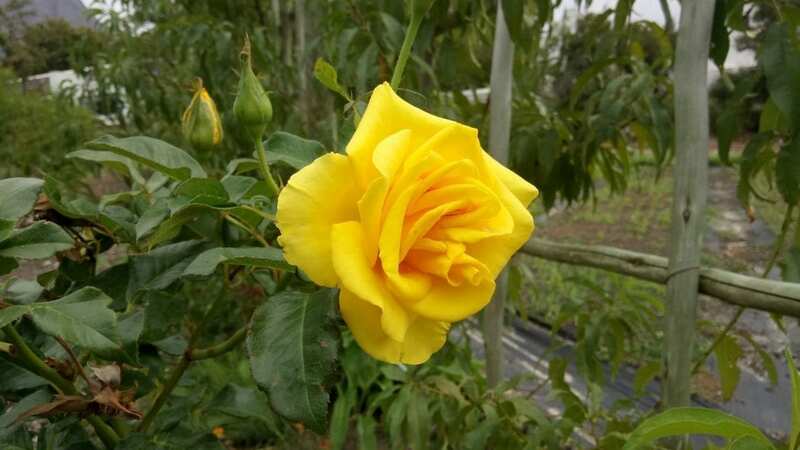 It’s a sight for sore eyes, especially around springtime when those amazing roses are all in bloom, with the impressive Cape Vernacular Manor House and beautiful mountains as the backdrop. 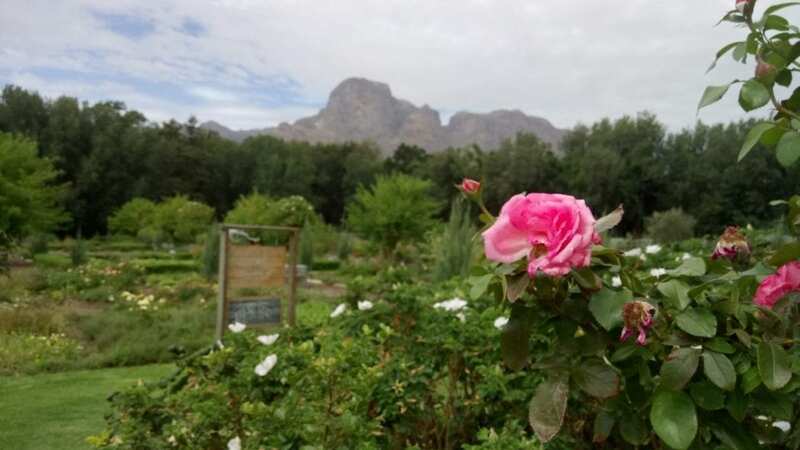 But, beyond the rose garden, Boschendal’s garden spaces are something to behold – so don’t leave without exploring every corner of them… It’s well worth it, especially for nature lovers and green fingers! 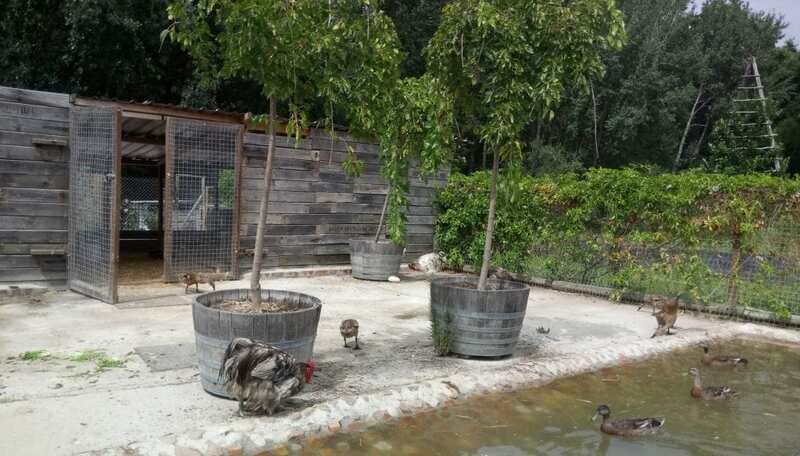 Before you reach the main Werf Food Garden, you’ll discover the smaller, but no lesss interesting, Werf Garden. Transformed from the Werf’s former rose garden, it is now a practical and interesting food garden, where herbs, veggies and fruit trees sprawl and bloom in pungent earthiness. 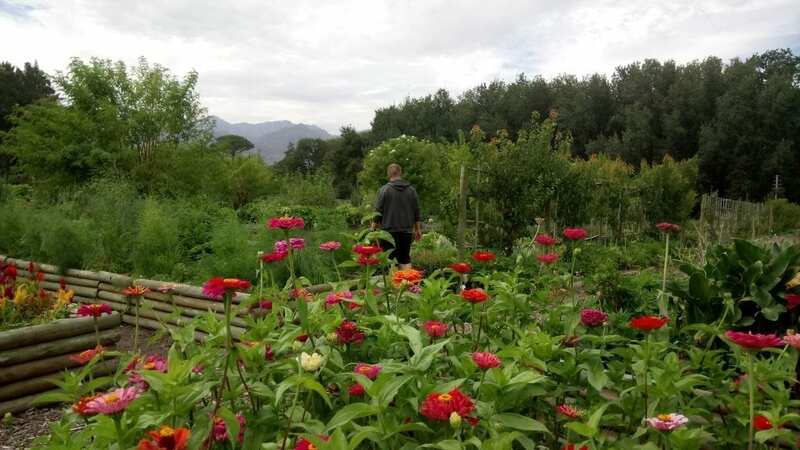 It feels a bit Secret Garden-esque – as do almost all of Boschendal’s garden spaces, especially on a cloudy autumn or winter’s day – and best of all, it follows wonderful organic principles. A little further on though, you will find The Werf Restaurant’s Food Garden proper. 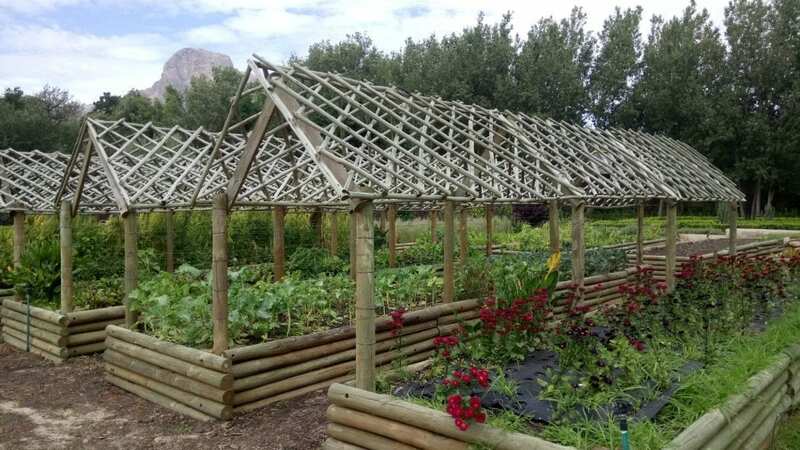 Here, spanning a two-hectare space of intricately woven garden patches, you can immerse yourself in the heart of natural goodness at Boschendal. 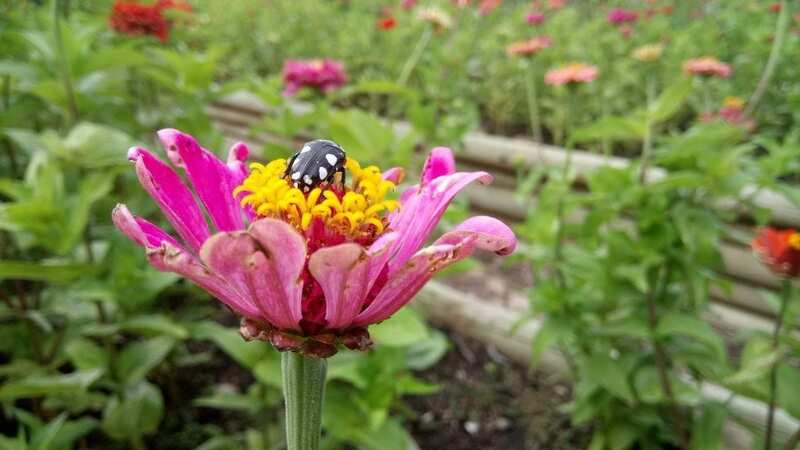 The Food Garden is pregnant with all sorts of edible flowers, vegetables and organic farm produce (and a cute chicken and duck pen!). 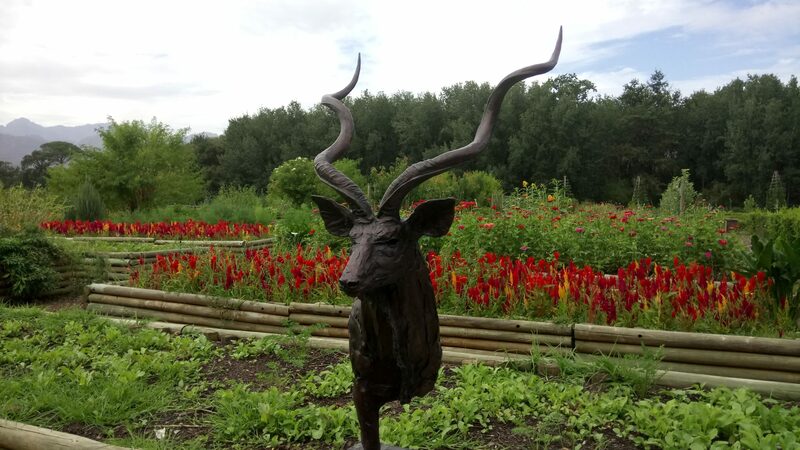 Snap a shot of the quirky art statues dotted throughout the grounds (but especially in the garden area) and admire the beauty of the elegant and chic Werf Restaurant, which appropriately overlooks the Food Garden. The restaurant itself practices the admirable farm-to-table cooking, which has been passionately injected into the estate by acclaimed executive chef, Christiaan Campbell. 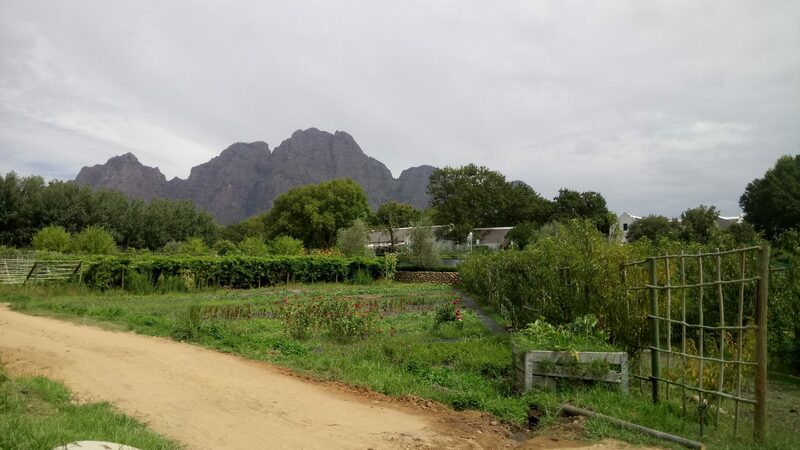 With The Werf Restaurant, mountain scenery and impressive gardening structures serving as one’s vista, it’s hard not to be awed by this stunning garden setting… It’s definitely a new highlight for me at Boschendal! 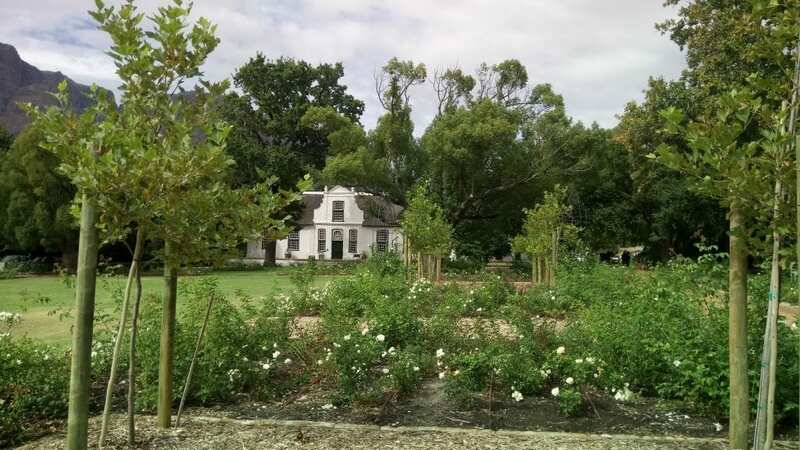 One of the things I love most about Boschendal is that no single space of the estate has been allowed to fall into disrepair. This means that every nook and cranny has been transformed (or tenderly restored) into something special. You won’t find any mournful, derelict buildings or overgrown gardens here… Everything at this estate is polished, maintained and refreshingly crisp. Likewise, the Farmshop, Butchery and Deli are no exceptions. 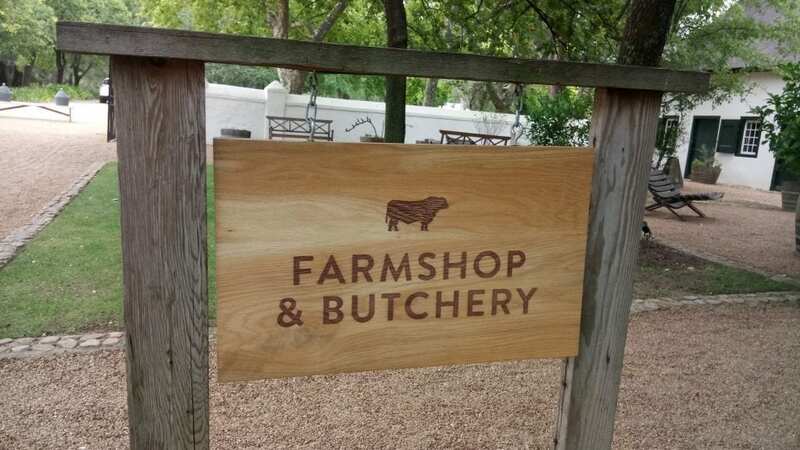 Nestled close together – directly across from The Werf Restaurant (another of Boschendal’s finest additions in recent years) – the Farmshop, Butchery and Deli allow visitors to shop, eat or browse some of the estate’s quality offerings. These include: yummy light meals, delicious sweet goods, beautiful notebooks, chic wine packages and of course, some great meats and breads too (to name a few of their joint specialties). 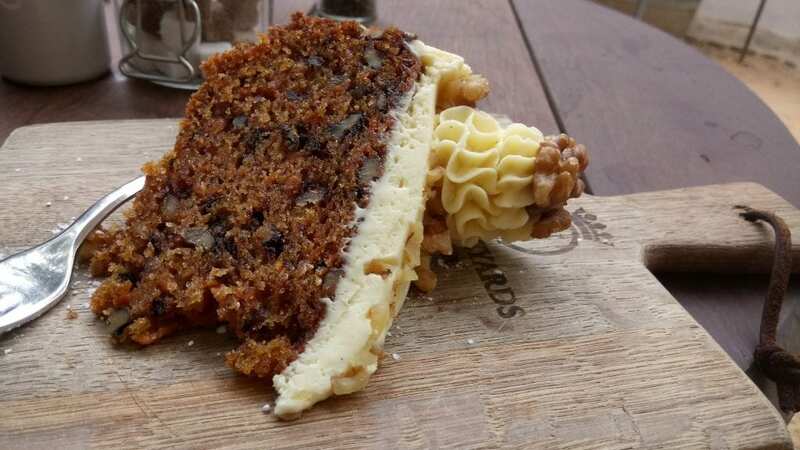 After a short stop at The Deli – where we tucked into yummy carrot cake (R40 per slice) and coffee – my boyfriend and I ambled around, exploring the Farmshop and Butchery, which are co-joined. 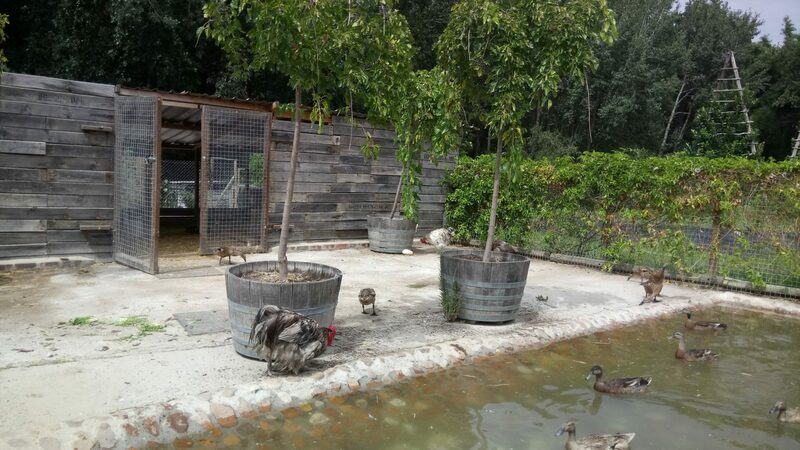 For more information on the Farmshop, Butchery and Deli, please contact: (021) 870 4281. 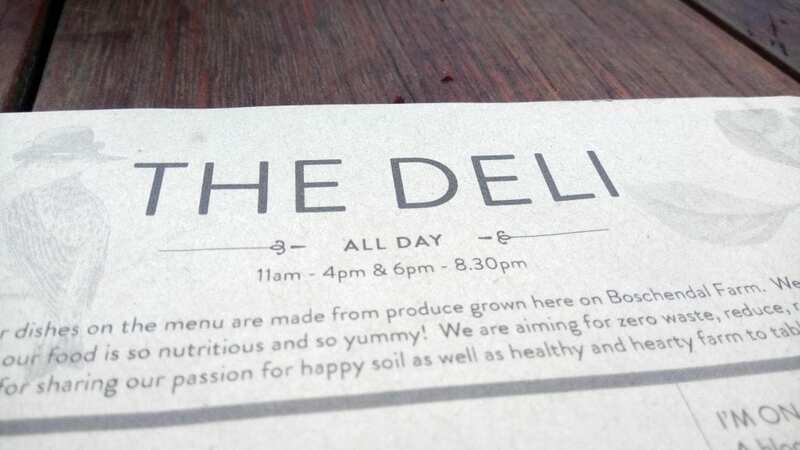 Deli opening times: Monday, Tuesday, Thursday to Saturday, 08:00 am – 21:00 pm; Wednesday, 08:00 am – 18:00 pm and Sunday, 08:00 am – 21:00 pm (pizza night only). 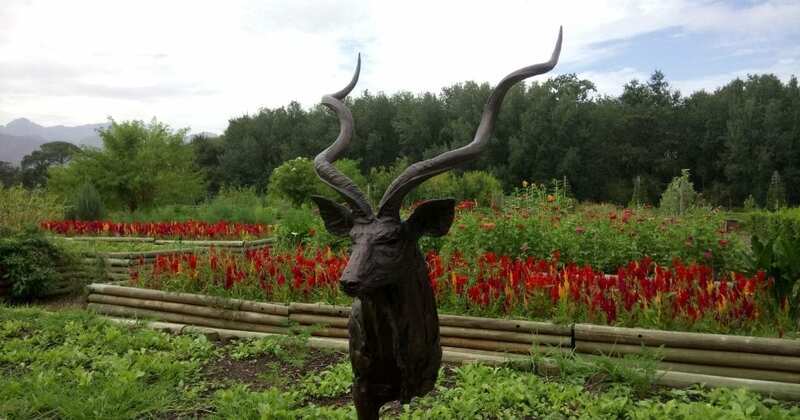 Farmshop and Butchery opening times: Monday to Sunday, 08:00 am – 18:00 pm. 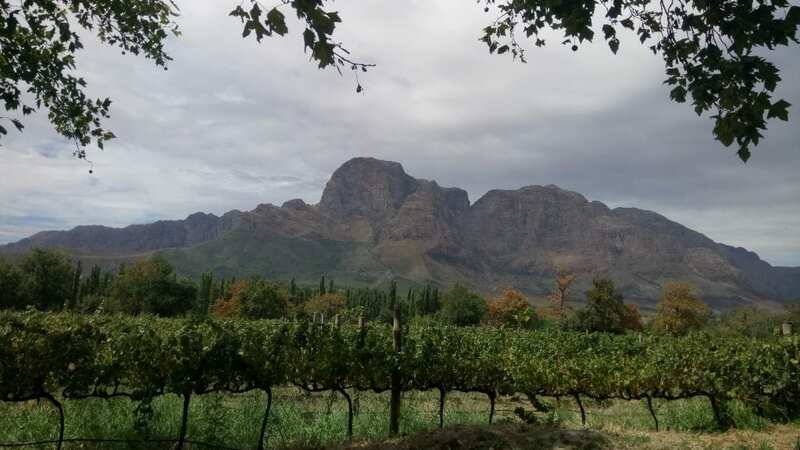 If ever a wine farm was enviably situated, it’s Boschendal. 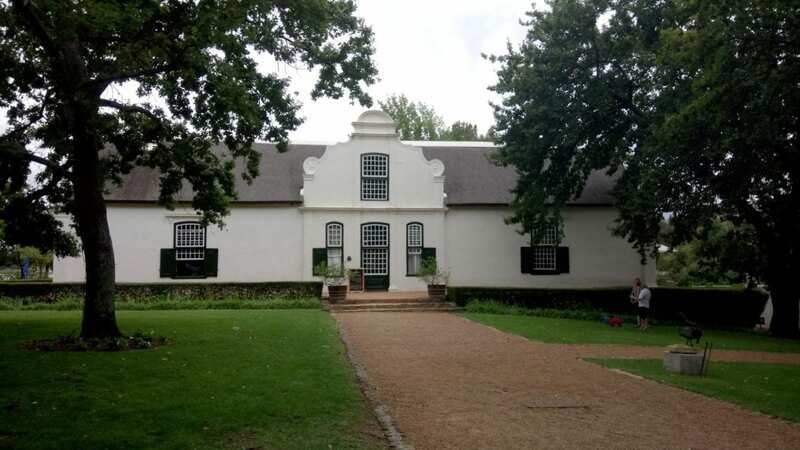 Here, the estate’s timeless Cape Dutch architectural beauty is disturbed only by its tranquil rolling lawns, vibrant vineyards, wise old oak trees and of course, encircling mountains aplenty. 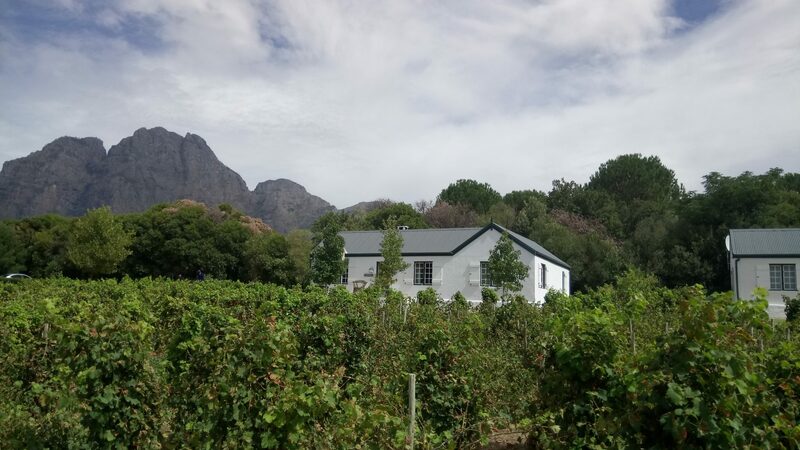 For a long time, Boschendal’s gorgeous cottages have been firmly in my periphery (I’ve made a mental promise to someday book us a night’s stay there…), so it was a joy to see them, as we trotted by during our thrilling carriage ride. 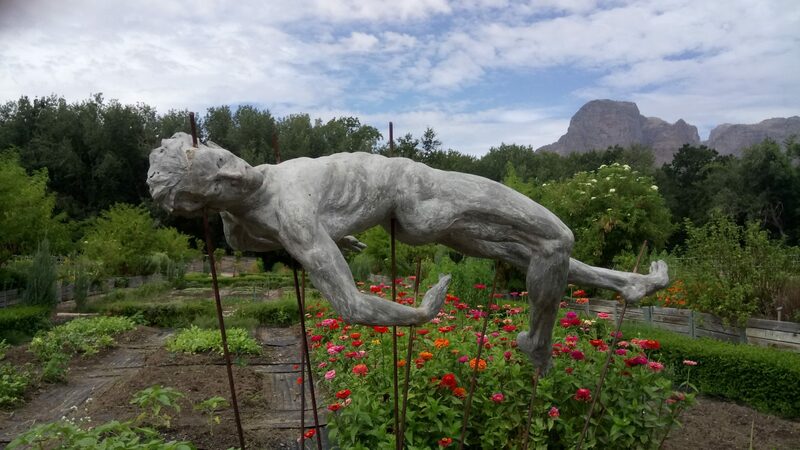 The farm accommodation is a great, relatively new addition to the farm, allowing guests to linger longer and really experience Boschendal on an intimate and extended level. 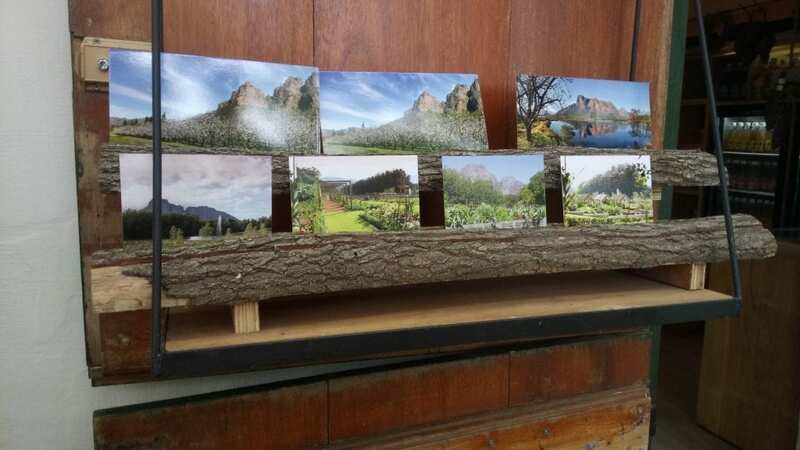 Accommodation options range from the historical Herbert Baker-designed Rhodes Cottage (situated on a separate part of Boschendal, across the way) to the lovely farm cottages. The cottages, which are ideal for friends, families and couples alike, are serviced daily, and are equipped with either a full kitchen or kitchenette. 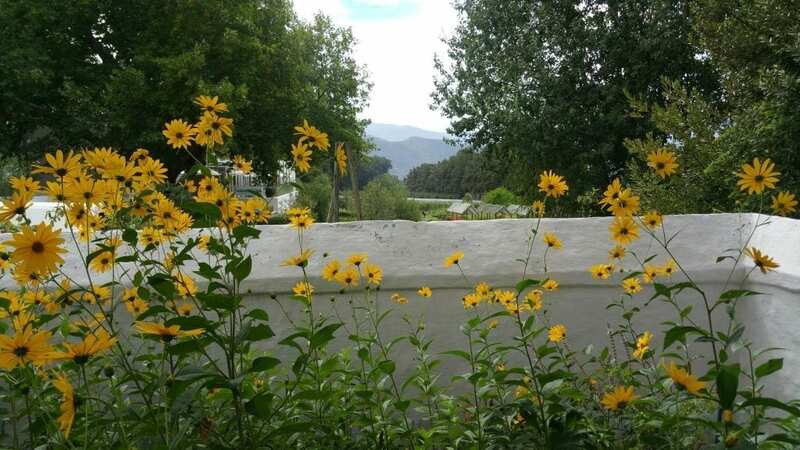 Each cottage provides a slice of stylish simplicity, country charm and farm authenticity, ensuring a restful and comfortable stay on this beautiful wine estate. For more info on Boschendal’s farm accommodation, please contact (021) 870 4290 or email: accommodation@boschendal.co.za. 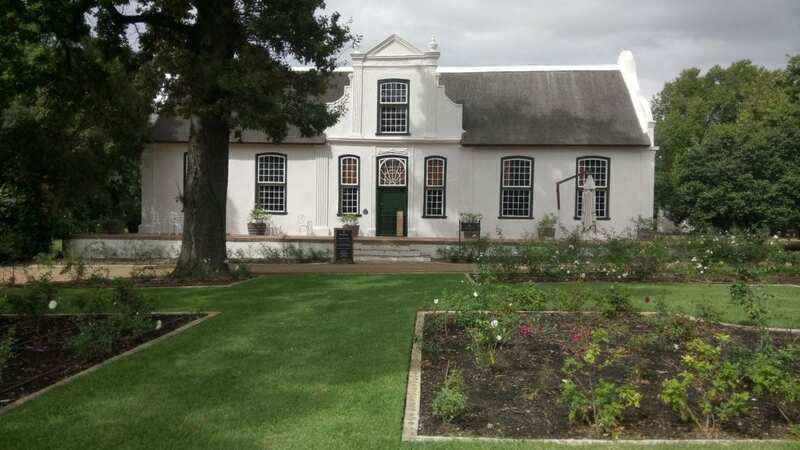 Boschendal now offers guests and visitors premier wine tastings and yummy platters to enjoy in its special Manor House, which dates back to 1812. 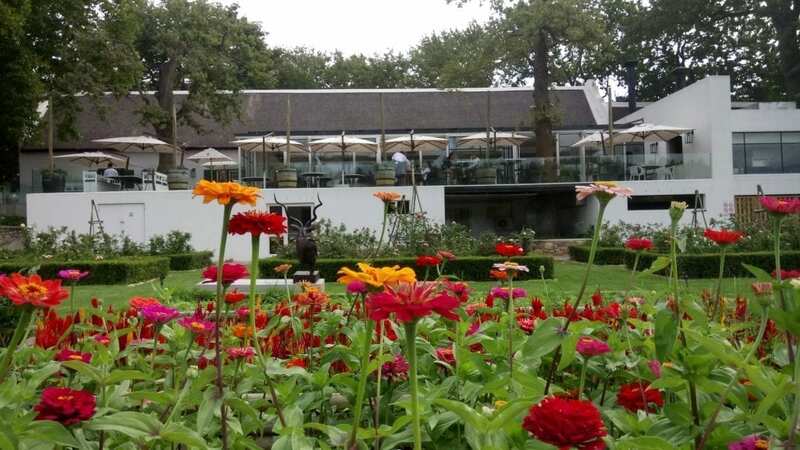 You can join them for an array of food and wine tastings, including the MCC and Canapé pairing, Angus beef and Shiraz pairing and Historic tasting to name but a few great options. What’s more, there are delicious platters available for R120-R160. Please note: Tastings and pairings run for one hour, and cost between R200-R350 per person; prices vary according to selection(s). Booking is essential. Monday to Saturday, 10:00 am – 17:00 pm. Wednesday to Sunday, 11:00 am – 15:00 pm (for food pairings). Of course, nowadays, wine farms are (rightly so) loved for their picture-perfect wedding settings. And in choosing to celebrate your special day at Boschendal, it would be hard to put a foot wrong. I’ve seen some stunning (and I mean stunning) wedding photo shoots and videos shot at Boschendal, so if you’re keen to tie the knot in wine farm-style, check out their wedding rates and information here. 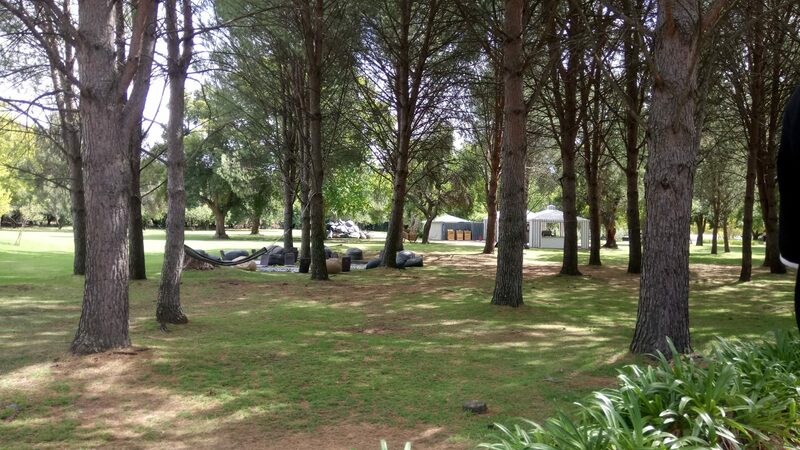 Please note: Boschendal also caters to conference and function events. 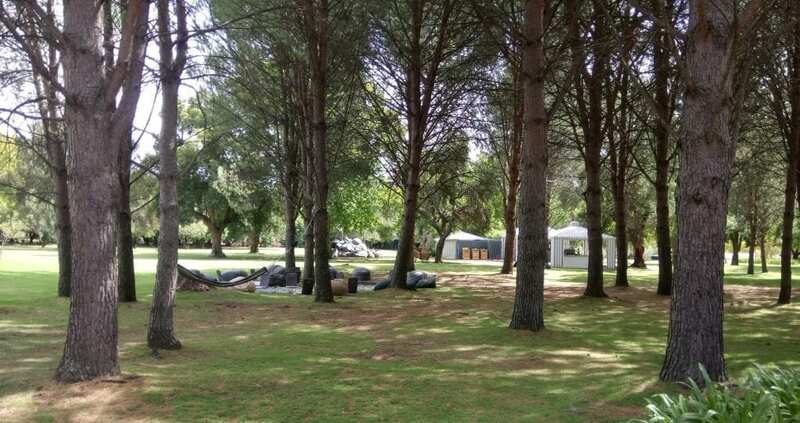 For more information and for customised arrangements, please contact Boschendal on (021) 870 4293. 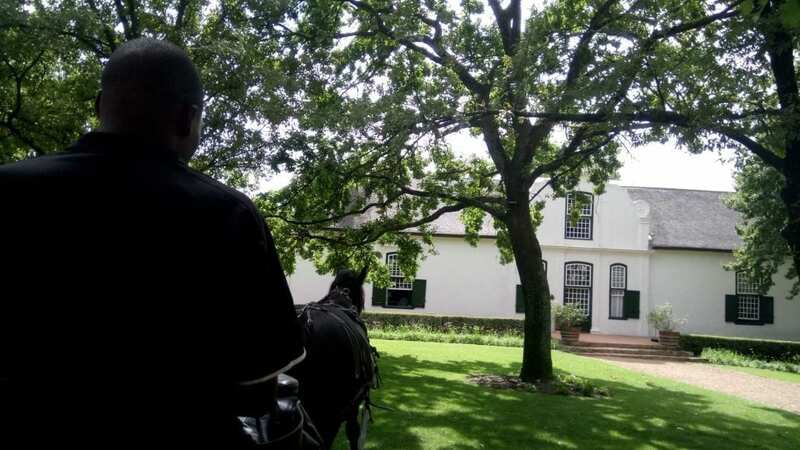 As always, the memory of our day (and carriage ride) at Boschendal will stay with me for a very long time to come, tucked away carefully into my memory banks. 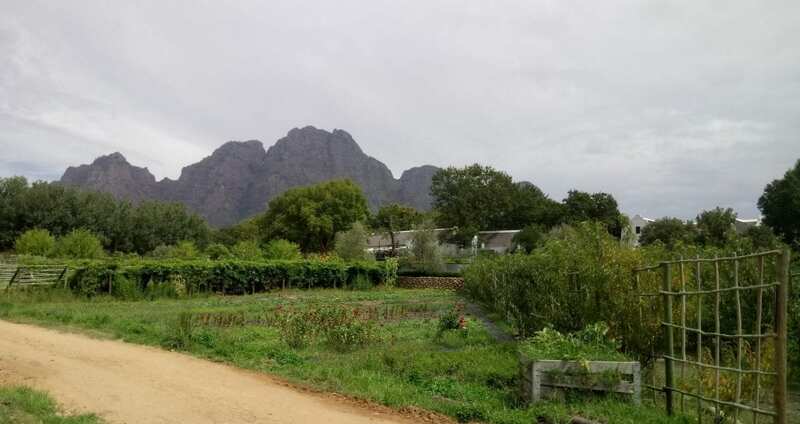 And I hope that, if you haven’t already, soon you, too, will get to experience the very best this amazing Franschhoek wine estate has to offer… Until our next meeting, Boschendal, farewell. Boschendal comes extremely highly rated by me, and I can happily award them a 10/10 overall rating for consistently offering one of the best wine estates in terms of setting, professionalism, atmosphere and finally, immense natural beauty and timeless Cape charm. 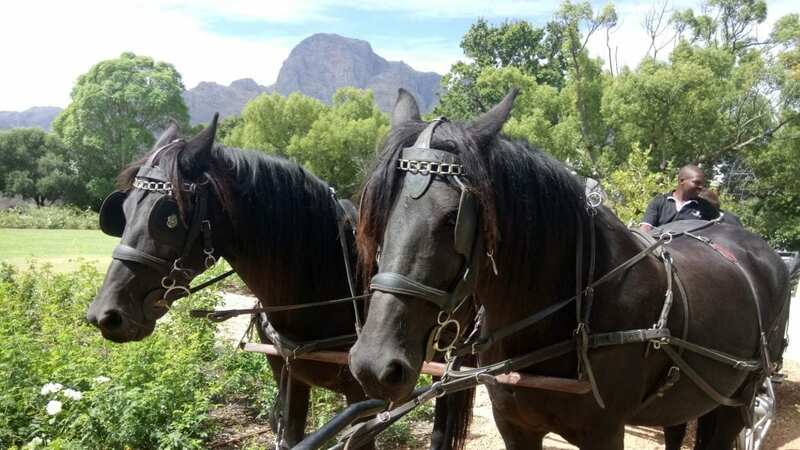 Thank you very much to Boschendal Wine Esate, Bianca Grobbelaar and our carriage driver, Hans, for ensuring our visit and carriage ride was so wonderful and special! We enjoyed a thoroughly wonderful day with Boschendal. 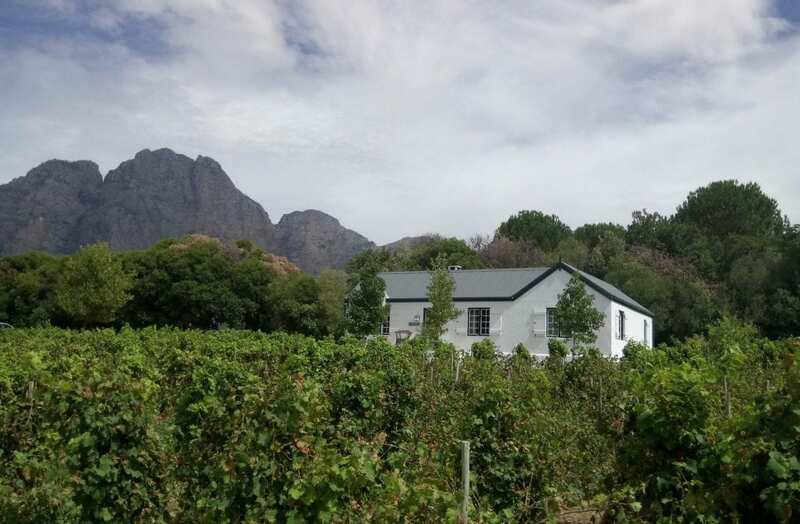 For more information on Boschendal and their amazing wine farm offerings, please contact: +27 (021) 870 4200 or email them at: enquiries@boschendal.co.za. 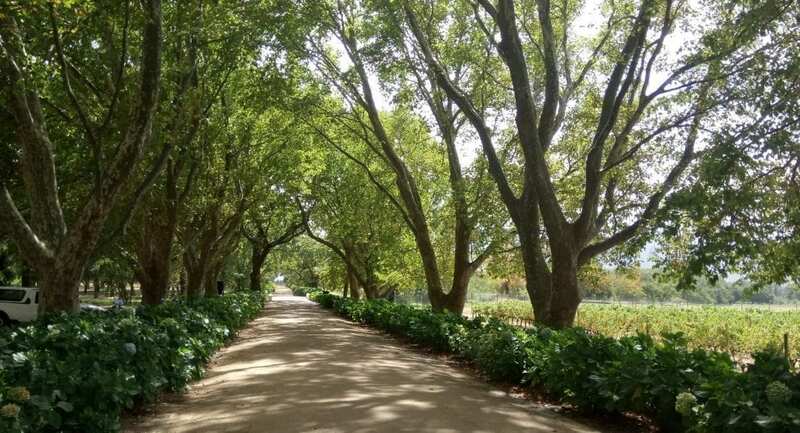 You can also visit Boschendal’s website or find Boschendal Wine Estate for yourself at: Boschendal Wine Estate, Pniel Road, Groot Drakenstein, Franschhoek, Western Cape, South Africa. 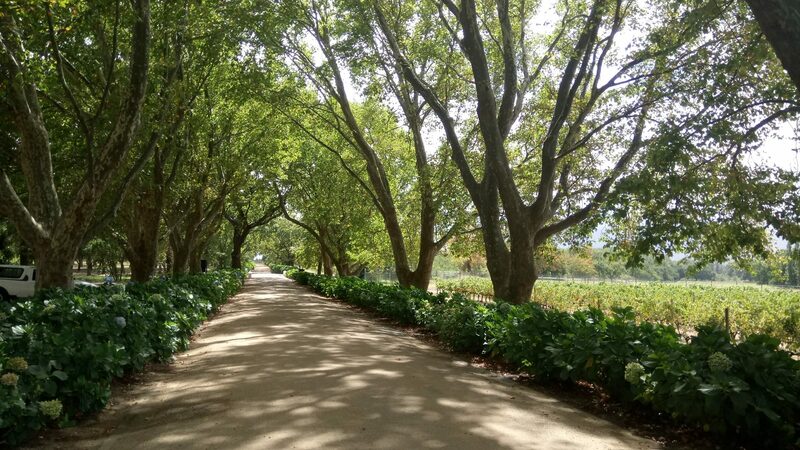 Boschendal Wine Estate is also on all leading social media platforms, including Facebook, Twitter and Instagram, so be sure to connect with and follow them there!